Ricki Schultz's charming and hilarious new novel, SWITCH AND BAIT, is now available for preorder! Rae Wallace would rather drown in a vat of pinot greezh and be eaten by her own beagle than make another trip down the aisle--even if it is her best friend's wedding. She's too busy molding the minds of first graders and polishing that ol' novel in the drawer to waste time on any man. But when her best friends stage an intervention, Rae is forced to give in. After all, they've hatched a plan to help her find love the 21st century way: online. She's skeptical of this electronic chlamydia catcher, but she's out to prove she hasn't been too picky with men. 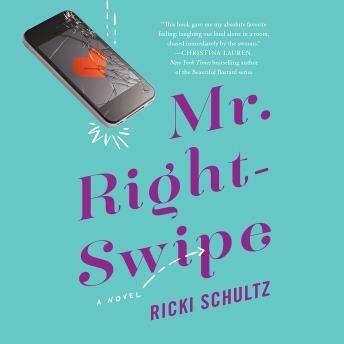 Sarcastic, irreverent, and uproariously funny--the painfully-true, so-insightful-it-hurts kind of funny--Ricki Schultz's wry debut will speak to fans of Bridesmaids or Trainwreck, and to anyone who's ever been on a bad date.